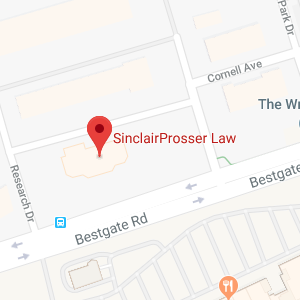 Here at Sinclair Prosser Law, we place an emphasis on community. We are a local estate planning and elder law firm, and we have been assisting people in Highland Beach, MD for numerous years. This is a fantastic city with a rich history, and people who are not aware of it often find it to be quite fascinating. Highland Beach, Maryland is a town located in Anne Arundel County, Maryland. The population of the town today is around 100. When Highland Beach was incorporated in 1922, it became the first African-American municipality in Maryland. The town was founded in 1893 by Charles Douglass, the son of the famous abolitionist, Frederick Douglass. Charles and his wife Laura purchased a 40 acre piece of land on the Chesapeake Bay with 500 feet of beachfront. They had been turned away from a restaurant at a nearby resort because of their race, so they bought the beautiful nearby property and turned it into a summer retreat for their family and friends. Their home in Highland Beach was listed on the National Register of Historic Places in 1992. Although Highland Beach was founded as a summer resort, today it is a town that is populated by mostly year-around residents. Highland Beach does not permit any commercial establishments, so the shoreline and accompanying bay views remain pristine. Today there are around 60 homes, and many of those are still owned and occupied by descendants of the original residents. The residents of Highland Beach are proud of their town’s heritage established by successful African-Americans who were determined to overcome the prejudices of their times. Highland Beach is the home of Twin Oaks, the Frederick Douglass Museum and Cultural Center. Highland Beach has changed little throughout the years, and that is one of the qualities that makes the town so special. Estate planning involves arranging for the future transfer of your monetary assets to your loved ones. At the same time, you should also plan ahead for the twilight years that will precede your passing. A comprehensive estate plan will address the eventualities of aging, because one thing leads to another. Many people become incapacitated late in their lives, and you can address this in advance through the execution of advance health care directives. You can also include a durable financial power of attorney in your estate plan to name someone to handle your financial affairs in the event of your incapacitation. You should consider the matter of estate administration when you are planning your estate. There are various different administrative tasks that must be completed after you pass away to make your wishes become a reality. If you take the right steps, you can leave behind a turnkey situation for your loved ones. We periodically go out into the community offering free estate planning seminars. If you would like to attend one of these valuable information sessions, you can view the current schedule here: Highland Beach, ND Estate Planning Seminars. To request a consultation right now, simply visit our contact page or pick up the phone. We can be reached at (410) 573-4818.